If you’re a budding photographer or Instagram addict, you’ll find plenty to please you on a trip to Mexico. Whether it’s striking statues, mysterious monuments or unusual places of interest, the country has a unique range of delights. So, if you’re planning a visit, here’s a rundown of seven remarkable landmarks that should already be on your radar. 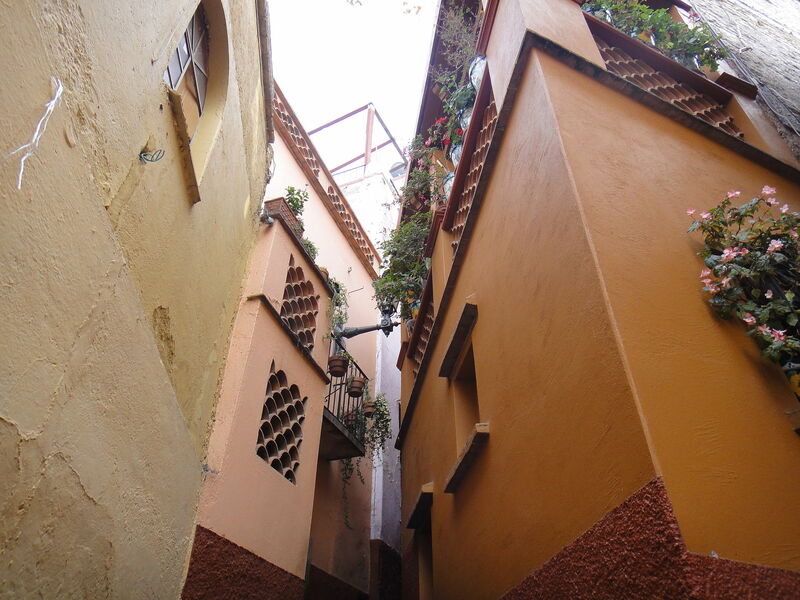 For a few pesos, visitors to this iconic Guanajuato street can listen to a young local recount the story of the “star-crossed lovers” who would meet at the point between the two nearly touching balconies. According to legend, Ana was rich, and Carlos was poor. Ana’s merchant father had prohibited their relationship. After discovering the pair kissing above the street, Ana’s father promised he would kill his daughter if it ever happened again. When Ana met with Carlos the next night, the cruel father took a dagger to her heart, and Carlos jumped to his death in the local mine. 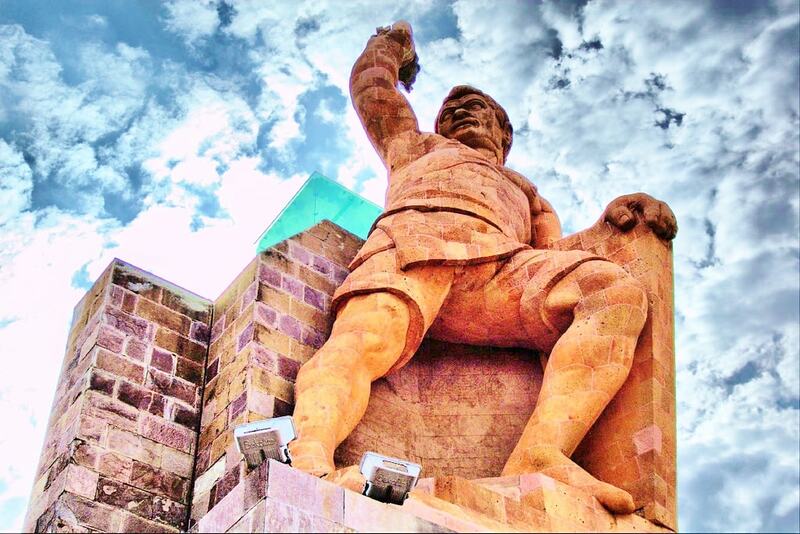 Another Guanajuato landmark, the statue of El Pípila was built in honor of a miner who approached the door of a Spanish fortress with a stone strapped to his back to protect himself from musket fire. With a flaming torch, Pípila set fire to the gates, thus enabling the first victory for the Mexican rebels in 1810. 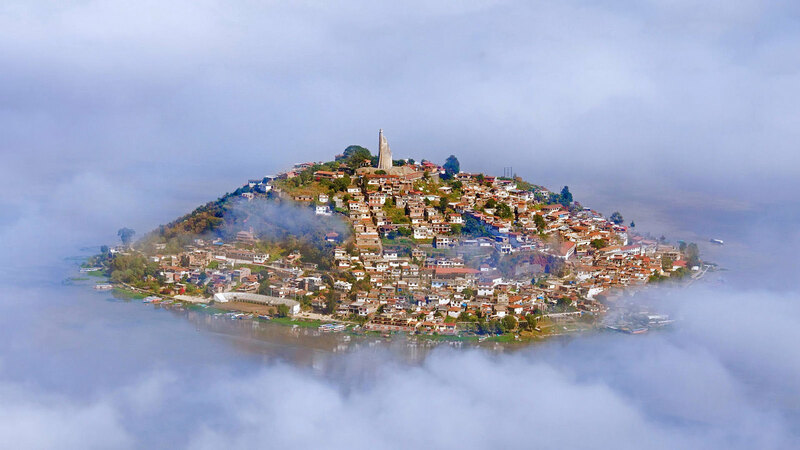 Today you can climb the steep staircase to the top of the monument and enjoy the panoramic view of the town. Famed for its beautiful Day of the Dead celebrations, Janitzio Island is dominated by a striking monument to José María Morelos, a hero of Mexico’s independence campaign. 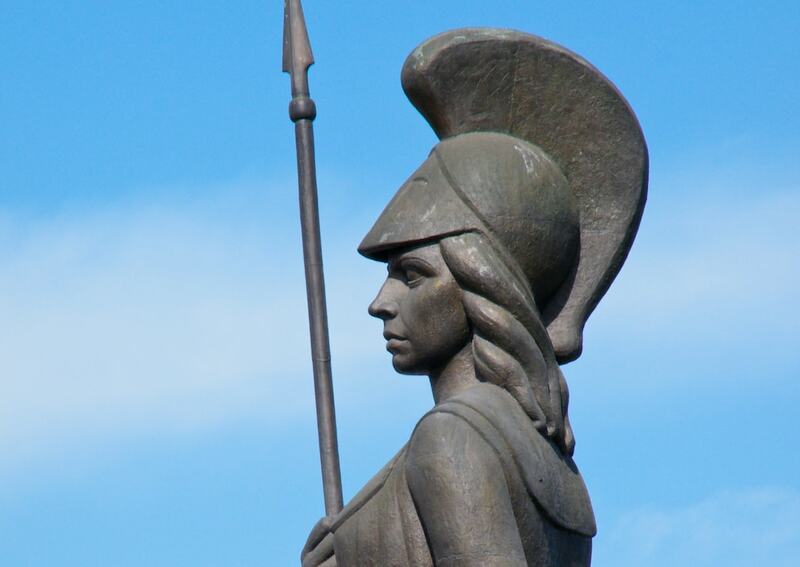 The statue stands 40 meters (131 feet) high on the highest point of the island. Visitors can climb up inside the monument, built in 1933, via a spiral staircase that rises within the statue. Painted on the interior walls is an impressive mural depicting Morelos’ life and career. The dramatic Emiliano Zapata statue in the leafy colonial city of Cuernavaca depicts the leader who fought for the rights of peasants during the Mexican Revolution. Situated in the Plaza de Armas, the bronze statue shows Zapata on horseback with a rifle in hand. The sculpture was removed for renovation work in early 2017. Thieves successfully made off with four similar statues stored in the same location, but left the Zapata statue, presumably because it was too heavy to move. 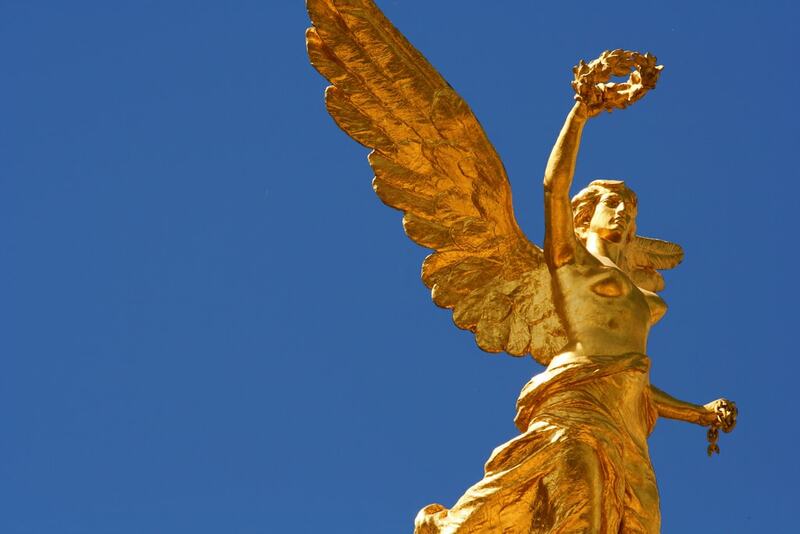 Located on the famous Paseo de la Reforma in downtown Mexico City, El Ángel de la Independencia is a victory column built in 1910 to mark a century since the beginning of Mexico’s War of Independence. Today, the site is a meeting point for protestors as well as a place where people celebrate Mexican soccer team victories. One of Guadalajara’s most famous landmarks, La Minerva is a statue that sits in the middle of a great fountain at a traffic circle. It depicts the Roman goddess Minerva and is a post-victory meeting point for fans of the city’s major soccer team, Chivas. 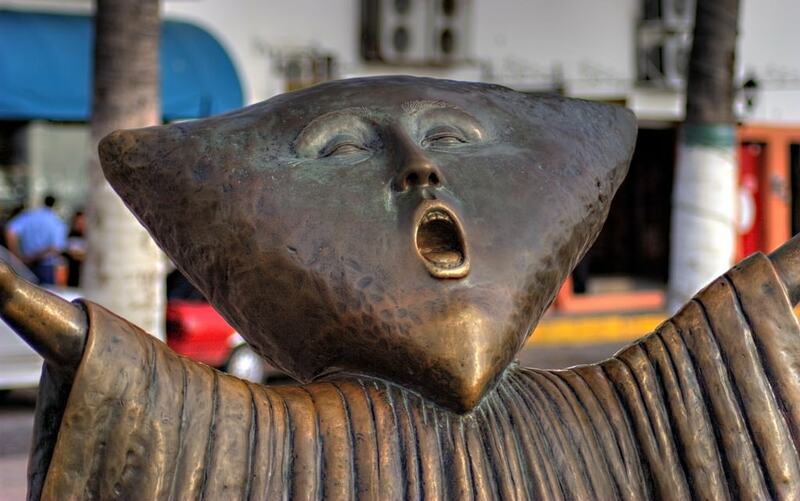 The sculptor Sergio Bustamante’s most famous installation is found on the promenade of Puerto Vallarta. En Busca de la Razón (In Search of Reason) depicts two triangular-faced children who climb a tall ladder while their frantic mother begs them to come down. Bustamente has said that the enigmatic sculpture, inaugurated in 1999, is themed around liberty.